Denmark based offshore wind developer Ørsted has reportedly acquired Deepwater Wind, the U.S. offshore wind developer in an attempt to expand into the U.S. offshore wind industry. The firm’s name will be changed to Orsted US Offshore Wind and Ørsted has allegedly paid $510 million to hedge fund D.E. Shaw Group, the owner of Deepwater Wind, to buy the company. Citing sources familiar with the matter, the 30 megawatts (MW) pilot project by Deepwater Wind off Block Island, Rhode Island is the only commercial offshore wind installation that currently generates power in the U.S. The Atlantic Coast is considered as a fertile ground for expansion of the offshore wind industry due to the huge population centers near the coastal area along with strong and reliable ocean breeze. In the previous year, bigger offshore wind installation contracts off New York and Massachusetts had been signed, the sources further informed. Records suggest Ørsted had found it difficult to win some these big contracts. In spite of Ørsted’s experience, Deepwater Wind has apparently been more successful in wooing US-based utilities and local governments. The European engineering firm is hoping to benefit from Deepwater’s ability of closing U.S. deals through this acquisition. Besides a second project off the coast of Rhode Island under development, and the U.S. company also has a project near the coast of Long Island. Chief executive for the U.S. offshore wind division of Ørsted, Thomas Brostrøm, stated that the company can see a huge industry emerging. 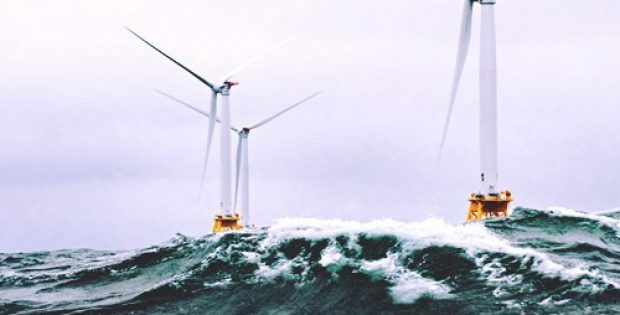 Ørsted believes that about 10 gigawatts of offshore wind could be built over the next 10 years and the company wants to be in a position to take advantage of this growth, he added. Ørsted believes it would be having about 7.45 gigawatts by the end of 2020 which would include Taiwan, Germany, Denmark and the UK offshore wind farms, claim industry experts. For the record, Europe has over 15 gigawatts of offshore wind and the capacity is increasing every year.